The fellas of The NFL Today are going to the Super Bowl! 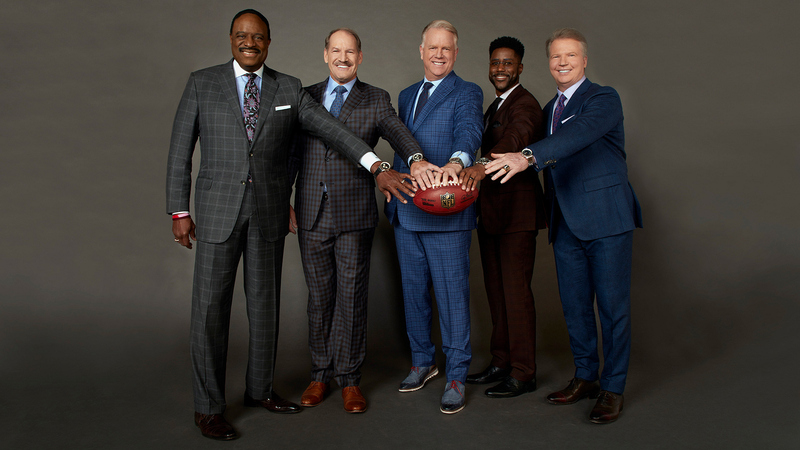 Hosts and teammates on CBS Sports' The NFL Today, James Brown, Bill Cowher, Boomer Esiason, Nate Burleson, and Phil Simms tackle camaraderie and commentary with good-natured banter. Watch! sat down with the five-strong team and talked about their favorite players and sportscasters ahead of their Super Bowl LIII coverage. Don't miss their insights and analysis on Super Bowl Sunday (Feb. 3) exclusively on CBS! Get the full story in the upcoming January-February 2019 issue of Watch! featuring The NFL Today hosts—on newsstands January 29! Photography by Walter Iooss. Styled by Ellen McGlynn and Annette Marom. Watch Super Bowl LIII, including festivities like the halftime show, broadcast live on Sunday, Feb. 3, 2019, at 6 PM ET/ 3 PM PT on CBS and streaming live on CBS All Access.